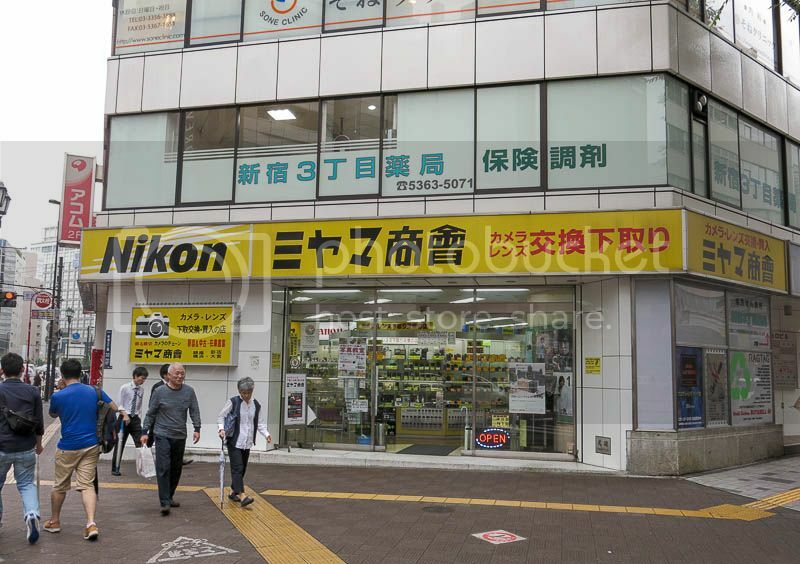 As I was walking around Shinjuku on this beautiful spring Sunday I was near one of the old camera shops that I have been stopping in on for the last 23 years. I bought my Minolta 9xi there years ago. They have new stuff, used stuff, and also they always have some old,valuable cameras on display that are not for sale (or, at least, they have no price tag). Today in the case they had a 1916 Kodak Brownie with original box among the old Leicas, Contaxes, etc. What sort of made me sad though was to see a Canon EOS 1n for 6000 yen, a Nikon F4 for 6000 yen, and a Canon 300D for 7000 yen. Years ago the EOS 1n and F4 were wonderful, expensive cameras, but now sell for less than a 300D. The 1n and F4 are several orders of magnitude better than the 300D, but they use film instead of an old, out of date APS-C 6mp digital sensor. Actually, 7000 yen for the 300D seems like a good price. I paid $900 in 2003 for one. It was a pretty good problem-free camera. For some people it would still be a good camera for a giveaway price. 15-20 years ago the 1n and F4 were, and still are, really wonderful, high performance, robust cameras. Even back in the '90s while living in Tokyo I didn't really want such big, heavy cameras, but I occasionally would think about getting one. Much higher prices then though. Interesting comparison Henry. A bargain like this would be tempting if you had the glass to go with it. Hum! How much am I bid for a 1968 SRT101 with original 55mm F1.7 Rokkor? Which works out at roughly £2800 by today's rates. Now who grumbles about the price of A99 (no flake supplied)? Birma wrote: Interesting comparison Henry. A bargain like this would be tempting if you had the glass to go with it. Do you mean the film SLRs or the 300D? I have no need for any of them, but the 1n and F4 are such nice cameras that for 6000 yen they are almost free. Both cosmetically looked pretty good and the shop doesn't sell junkers. It still sort of surprises me how fast things have changed. It just doesn't seem that long ago I was looking at those cameras here in Tokyo, even used, and trying to convince myself to pay the high price for one. Now they are giving them away. I suspect the 1n AF is probably better than the 5DIII. With the introduction of DSLRs a few years ago it sort of seemed like the camera companies lost much of their AF tech since many DSLRs were worse than the film SLRs. My $1500 KM 7D was pathetic compared to my old 7000i. Hi Henry - I meant the film cameras. As you say, 'pro' spec bodies for very little money. Birma wrote: Hi Henry - I meant the film cameras. As you say, 'pro' spec bodies for very little money. A few days ago I was back in the shop and noticed that the Canon EOS 1n was still there, but the Nikon F4 had been sold. This is not one of the really big stores such as Bic Camera, Yodobashi, etc. Much like this one. 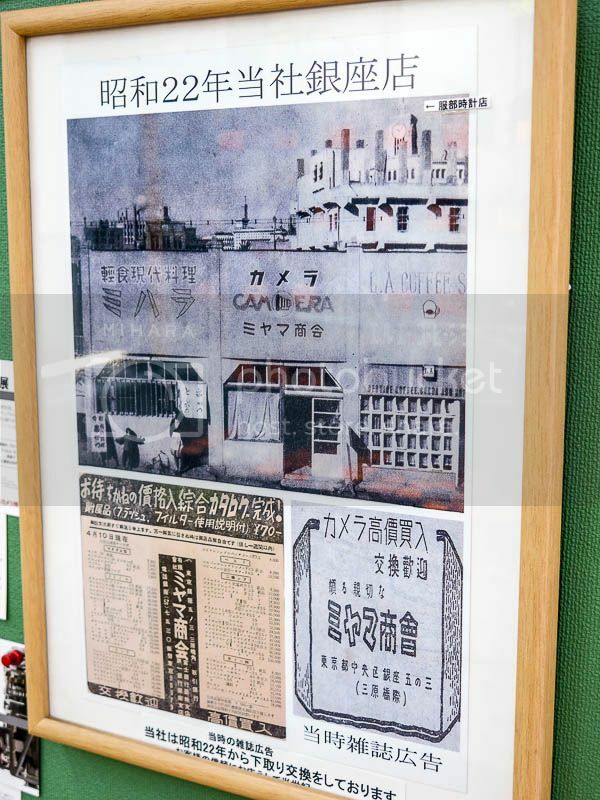 I found this photo on the web, but the one I saw was in much better condition. I also saw an excellent condition Canon AE-1 + Canon 135mm f2.8 for US$20. The lens alone goes for about US$100 here. Popular with people who like to use adapted lenses on mirrorless digital bodies.